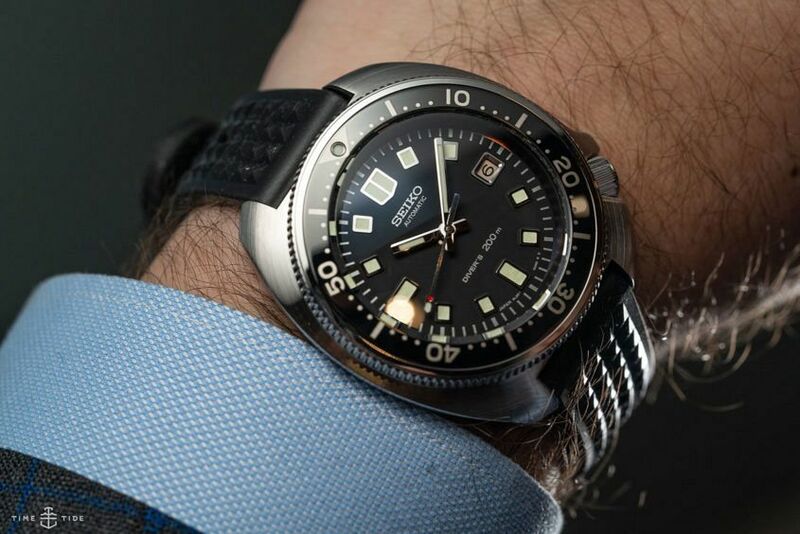 Seiko’s archive is full of exceptional and much-loved dive watches. One of the brightest lights in this pantheon is the 6105, a real workhorse of the 1970s, and a distinctive one at that — thanks to its large, cushiony case and a crown at four. 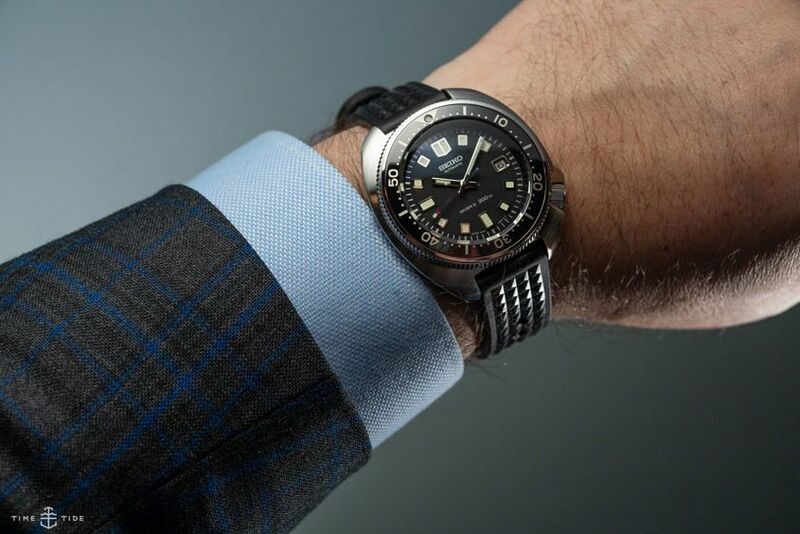 And while the visuals of the watch certainly didn’t hurt, it’s the combination of good (for the time) water resistance of 150m, Seiko’s reliable build quality and a non-prohibitive price that made this watch such a hit — especially with American soldiers in Vietnam. It’s in this context that the watch received its most famous role, on the wrist of Martin Sheen in Apocalypse Now. 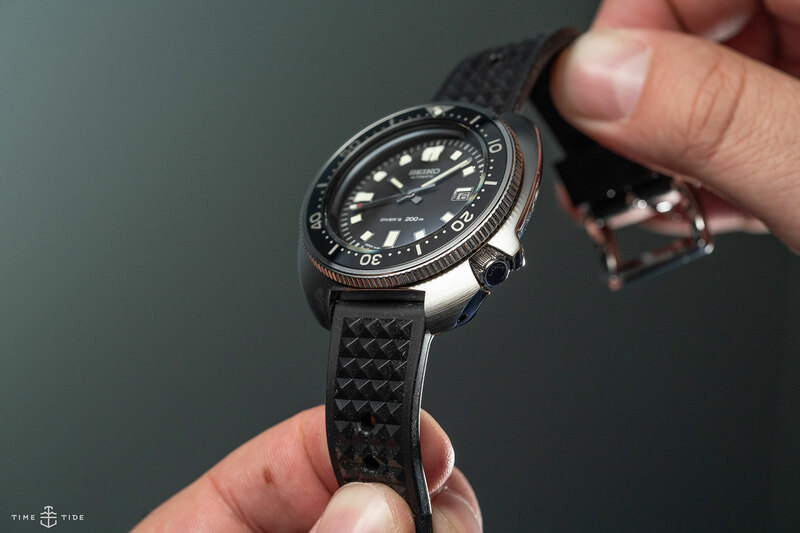 Fast forward to 2019 and the 6105 is back, only now it’s the Seiko SLA033, and limited to 2500 pieces. It’s also spectacularly cool. The case has been oh-so-slightly upscaled from the original — measuring 45mm across by 13mm tall — there’s no denying the presence of this piece. It’s made from stainless steel with a super-hard coating. Hidden away behind the solid caseback is the high-end 8L35, and it’s strapped on by a very faithful re-creation of the original strap — only now in silicone. Be warned, though: this strap is a real dust magnet. There’s a lot to like in the dial, too, not least the fact that you’re looking at it under a glorious double-domed sapphire. The design is an incredibly faithful tribute to the original, with wide, squared-off hour markers generously filled with luminous material, a straight up and down handset and a seconds hand with a lozenge-shaped tip, with a dot of lume and a dot of red. It’s a cool little detail. 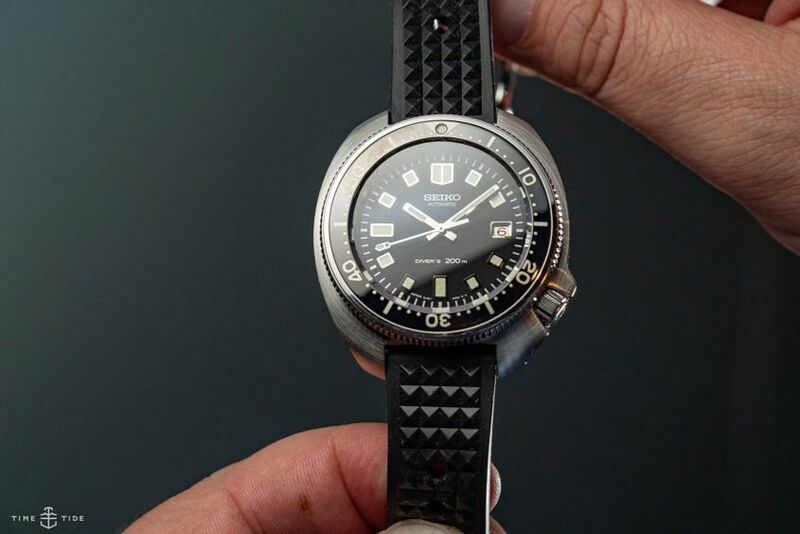 In fact, the only noticeable difference is the text at the bottom, which reads “Diver’s 200m” — it would have been super cool if Seiko had opted to follow the old-school format of “water 200m resist”, but I’m not going to look a gift horse in the mouth.